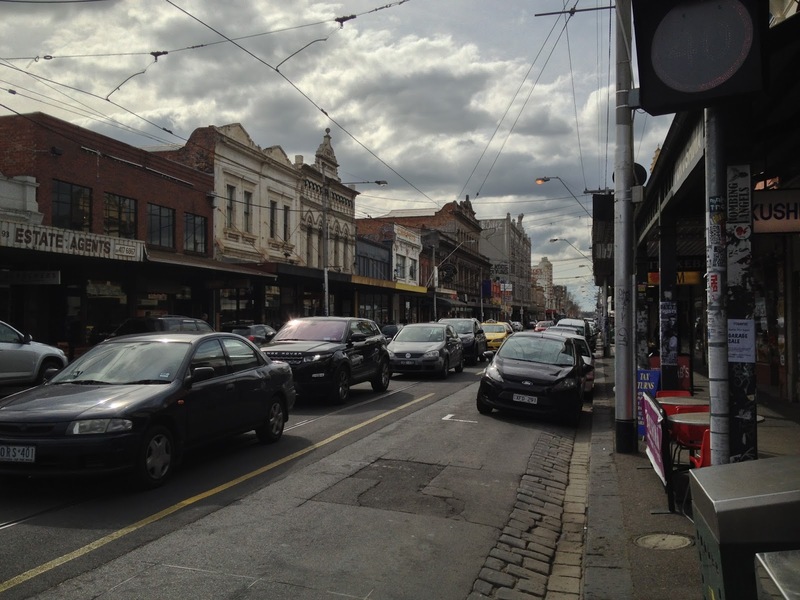 Welcome to Lygon street. Oh, and it usually isn’t this quiet. The Gossen Tippa in action under agent Teeritz’s hands. Agent Teeritz has excellent weapons handling skills. Look at that classic form. Ahhhhh Smith street. Are you ever not jammed up with cars? Such a world away from Lygon street. 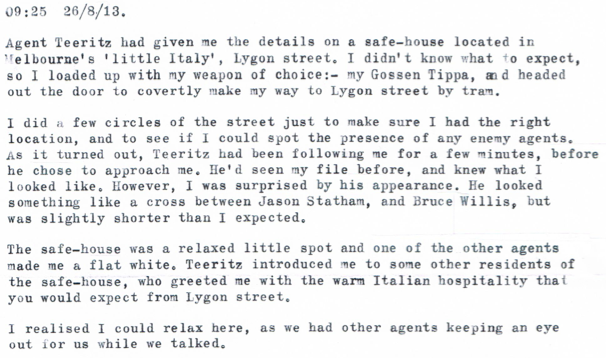 September 4, 2013 in 007, agency, Gossen Tippa, Lygon street, MI6, safe-house, Teeritz, typewriter. 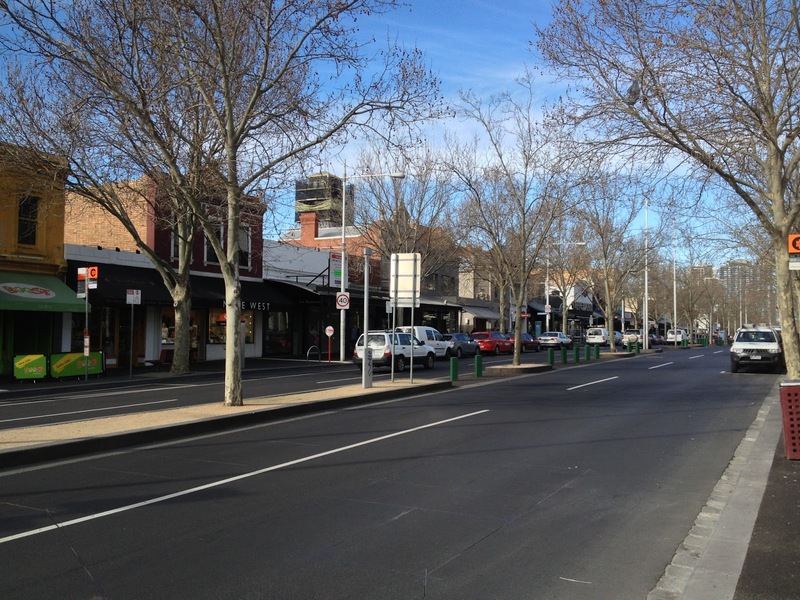 ← A quick hello from Bendigo. I knew I should've worn heels that day. And like I told you, I have been reliably informed that I am, in fact, taller than Jason Statham. But I'm sure he'll tear me a new one if I ever meet him. Regarding the Gossen, I was a little hesitant to type on it just in case I hit two keys at the same time. Didn't want to damage it, after all. Types nicely, though. And yes, that dude was a little annoying, but it was such an obvious statement that he made. 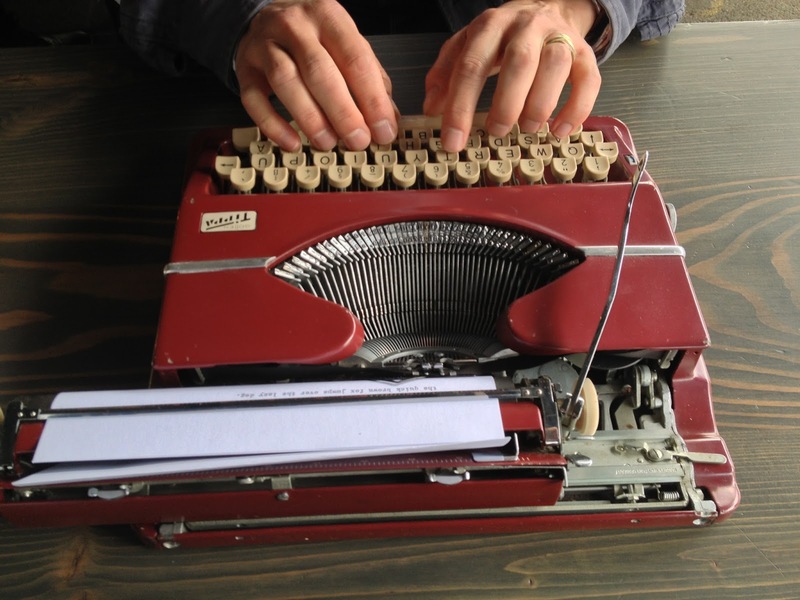 Some folks just don't get typewriters. At any rate, I was honoured to be your 'Transporter' that day. Very nice to meet you. And don't worry. The waiters took care of those two Redland agents who followed you to the café. 😉 Cold War's not over, old boy. I eagerly await your report on your meeting with the QuarterMaster. Ah! Was excellent catching up with you. And thanks for the drive. I had a great morning. 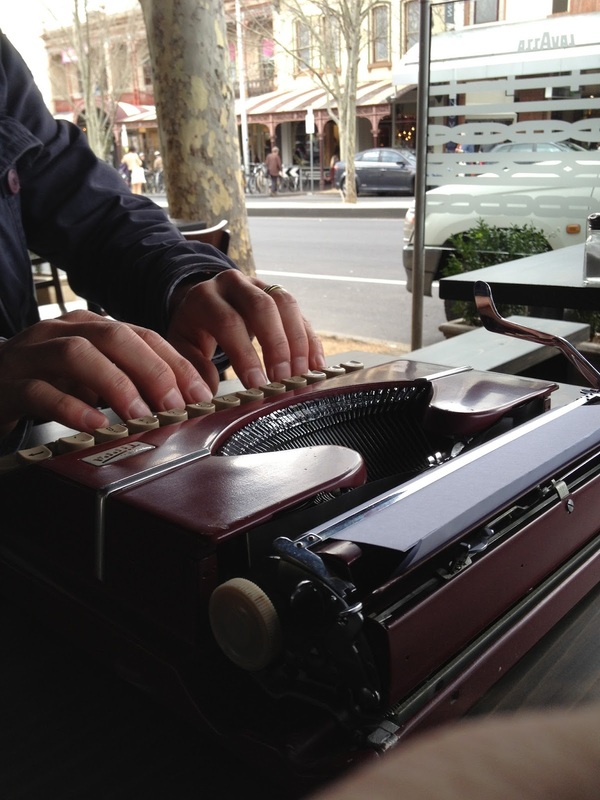 It is difficult to be truly undercover with a typewriter. But does does this qualify as a Type-In? And another mission accomplished! Maybe next time bring a second typewriter that you actually can sell to someone who asks. Because the big mission is ofcourse to get more typewriters to be used again. Maybe you'll find a new rookie! Glad to be of service! And it was a pleasure to meet you face-to-face, Scott. And I hope this town looked after you while you we're here. I'm of average height. Perfect for blending into a crowd. Very handy in our line of work. Great story. Now who will you cast as the “Teeritz Girl” for the next one? Looks like a great rendezvous. Smith Street looks fascinating. I wonder whether I'll ever have the chance to explore it. Smith Street is quite the second-hand and cafe strip. it is well known for its op-shops and vintage clothing gear. I think you'd love it! Ah yes! I think he was just being a bit of a twit actually. That said, I'd never answer that question honestly. It would invite me to cop a crack over the back of the head. Sort of-may-be-not really sure! But it was great to catch up with another typosphere blogger and compare notes. Thanks! Hmmm…. I wonder indeed! I might have to put that out on the blog.